This hike combines three thematic trails and offers an exceptional landscape of the Alps, the Three Lakes and the Jura in all places. It can be done from Sugiez stationas well as from the boat stations of Praz or Môtier. 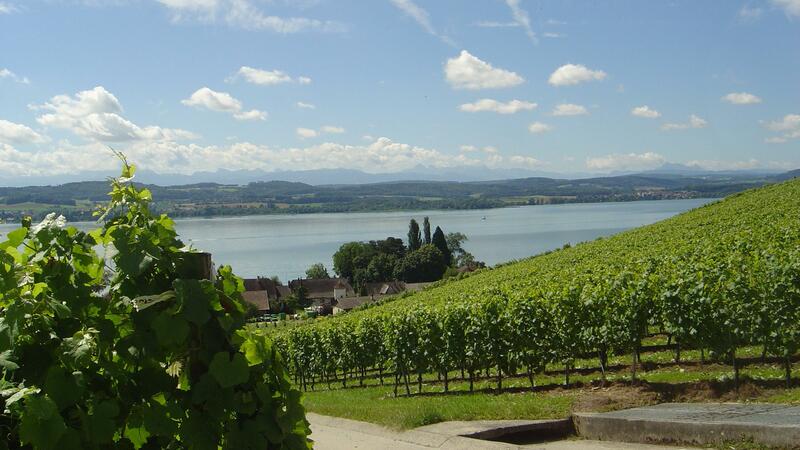 It takes the vineyard path then, in Praz, the botanical path which on a relatively steep slope leads to the summit of Mont Vully where a breathtaking view awaits the visitor. On the rampart of the Helvetes, it joins the historical path that leads to the erratic Pierre Agassiz block and then, successively, to the Réduit du Vully, a military construction of 1914-1918, to reach the famous caves (Roches Grises - La Lamberta). From there, the vineyard path and the riverside path lead to the starting point. Tip: Indulge yourself and after this magnificent hike enjoy a piece of Vully tart sweetened or salted in a restaurant or bought in bakeries.